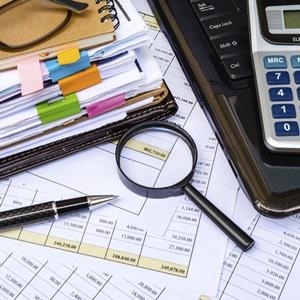 Cape Town – The Independent Regulatory Board of Auditors (IRBA) told Parliament on Tuesday that it is "likely" to investigate the conduct of the individual auditor who signed off on the forensic investigation into the 'rogue unit' at the South African Revenue Service (SARS). However, the report as a whole cannot be investigated, as it is of a forensic nature and therefore does not fall within the mandate of IRBA, according to its CEO Bernard Agulhas. “We have established that the individual auditor who signed off on the forensic report is registered with IRBA and we will know soon if we will investigate the conduct,” he said. IRBA, responsible for regulating the conduct of auditors and auditing firms in South Africa, appeared before Parliament’s standing committee on finance to give an update on the progress of an investigation into the conduct of KPMG. In the beginning of the KPMG investigation, IRBA did not get all the necessary documentation from the auditing firm and it was fed “bits and pieces” of information, said Agulhas, who admitted that the auditing firm did not give its full cooperation. On June 30, IRBA announced that it would launch an investigation into the 2014 audit of Linkway Trading – the company which played a crucial role in allowing the diversion of cash earmarked for the Free State’s Vrede dairy project to reimburse most of the wedding expenses of the Gupta family. Agulhas told MPs on Tuesday that IRBA met with KPMG International and KPMG SA on September 27 to discuss the way forward on the investigation, during which the regulator requested additional information. He said IRBA could not divulge specific information regarding the investigation as it could prejudice the case, but gave the assurance that the investigation will be fast-tracked. “But we have to respect the process so that the outcomes of the investigation are credible,” Agulhas said. He admitted that IRBA had to make considerable effort to “calm the markets”, after the “noise” about what has happened in the auditing environment. “We have sent out messages to calm down the markets and urged all role players to take decisions based on facts,” Agulhas said. The South African Institute of Chartered Accountants is also investigating KPMG for possible misconduct, Agulhas said, and IRBA will therefore engage with the institute to make sure there are no overlaps in the investigative processes. During question time, Democratic Alliance spokesperson on finance David Maynier asked Agulhas if IRBA would also investigate KPMG’s report on the South African Revenue Service 'rogue unit', and not only the Linkway matter. Agulhas said IRBA first had to establish if the SARS forensic report was signed off by a registered auditor, as the body does not have jurisdiction over forensic reports. Economic Freedom Fighters MP Floyd Shivambu said it seems as if auditors can do as they wish. “What have you (as IRBA) ever done? Have you ever withdrawn an auditing firm’s accreditation? It’s beyond doubt that KPMG’s conduct requires their termination of accreditation in the interest of the public. “They were accomplices in criminal activities and there’s adequate evidence to put into effect the Auditing Professions Act. We want action. If we tiptoe around KPMG it’s the end of it. We can’t allow that to be the case,” Shivambu said. Agulhas said the maximum sanction that IRBA can apply is to withdraw the licence of an auditing firm – something the body has not done to date. “We have so far only revoked the licences of individual auditors,” he said.